Special coaching to the students in the mornings and evenings. Well furnished lab, large. full-sized playground. Library with a good collection of reference books. Computer training, scouts and guides, Karate, Yoga Classes and Drumset training. Special Scholarship to poor and talented students and athletes. 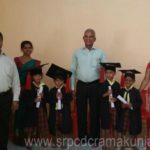 Education is a part and parcel of present day education system. Our school has a separate computer lab with 25 systems. 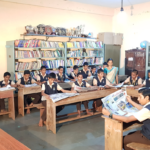 Students are given practical training in Computer Operation and Internet Browsing. At the end of the Course they are provided with the certificates in different courses like Diploma, Internet etc. Our Centre is affiliated with Manipal Institute of Computer Education. “A Good Book is the Best Friend.” In acquiring the knowledge a library plays an important role. Our Library holds more than 10,000 books on different subjects and made available to the students and teachers for reference. 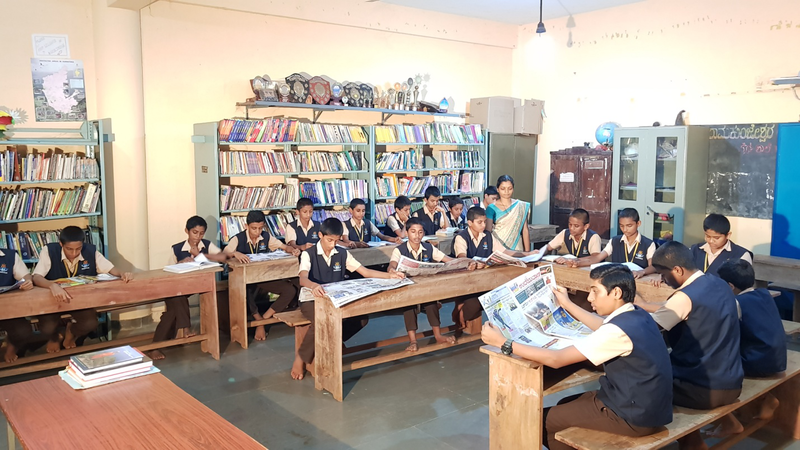 Besides six daily news papers and four periodicals are provided to the students to encourage the reading habit. The Institution is having a full-fledged Laboratory with modern equipments. This is helping the students to get the best available first hand knowledge of science. Students are allowed to conduct the experiments themselves. under the guidance of the teachers. The Laboratory is equipped with projector facility too. 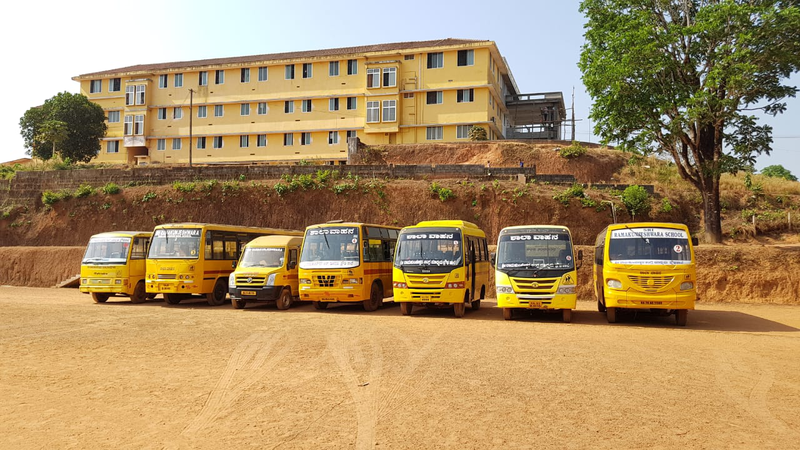 For the convenience of rural students, who are eager to get good education, School Bus Facilities is provided by the Management. Presently there are Seven Buses running in different routes. i.e Ramakunja to Uppinangady, Kanchana, Kunthoor & to Golithottu, Yenithadka, Sharavoor, Neerakatte. 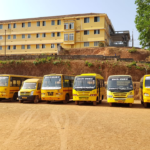 This Year 400 Students come to school by these buses. This facility has helped our students to reach the school in time safely. Due care is being taken for the safety and security.